Desperate Gardener: Tomato Tuesday: Speed up the Ripening! 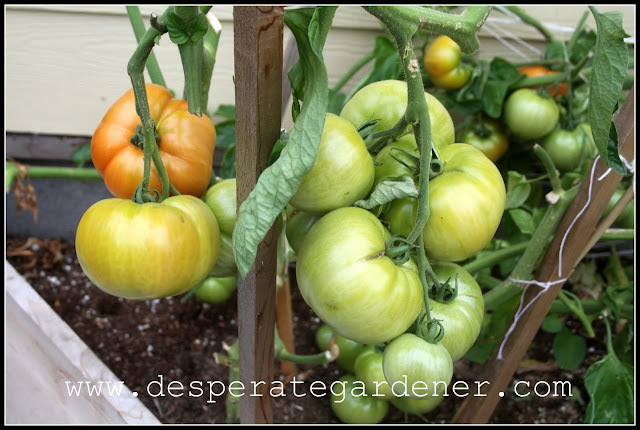 I really prefer to let my tomatoes ripen on the vine for flavor, but I get so nervous that something is going to happen to them! I wish I could wrap them in some sort of armor...with a padlock. I mean I have been babying these plants for 5 months! As soon as your tomatoes blush, you can pick them and allow them to ripen in your home (safe and sound). 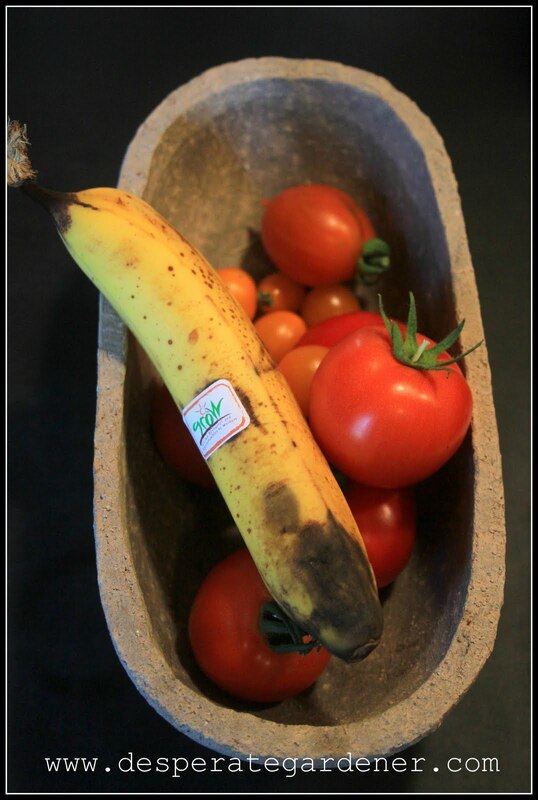 To speed up the ripening process, place your tomatoes next to a banana. Banana's release ethylene gas, which helps the tomatoes to ripen! On average, a slightly blushed tomato will ripen in 1-2 days next to a banana!